Property Damage Liability Insurance: What Does It Cover? A collision can result in thousands of dollars of damage, and if you’re the one responsible for the accident, you may be on the hook for covering repairs. 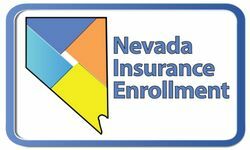 As a Nevada resident, you are required to carry property damage liability insurance, which is used to help you pay for any damages that may result from an accident that you caused. Keep reading to learn what is and isn’t covered by property damage liability insurance. Your insurance policy expresses your liability coverage in three numbers, for example, 25/50/20, which tells how many thousands of dollars you have in coverage. While the first two numbers refer to your bodily injury policy limits, the last number tells you how much property damage coverage you have. What Does Property Damage Liability Insurance Cover? There are no shortages of dangers and distractions when you’re behind the wheel of a vehicle, and at some point, even the most conscientious driver may find themselves responsible for an accident. Property damage liability insurance, which all Nevada drivers are required to carry, keeps you from having to pay for the damages that result from an accident that you caused, up to your policy limit. This insurance not only pays the repair or replacement costs of the vehicle that you hit, but it can also take care of the repair or replacement costs of any personal belongings in the car. For example, if the driver that you hit was transporting a television and the television was damaged in the collision, they could file a claim under your liability coverage. This type of coverage also pays for any repairs that may be necessary if you run into someone’s fence, mailbox or even their home. What Is Not Covered Under Property Damage Liability Insurance? It’s important to note that property damage liability insurance only covers the damages caused to the other person. It does not cover any damage done to your own vehicle or personal belongings. To avoid having to take on the repair or replacement costs for your own belongings, you can add comprehensive or collision insurance to your policy. Property damage liability insurance also only covers accidental collisions. If it’s determined that you intentionally caused damages to someone else’s vehicle or personal property, you’re more likely to be charged with a felony or misdemeanor for insurance fraud than you are to have your insurance company cut a check for the damage. What Happens If My Insurance Doesn’t Cover Damages? While being underinsured may save you a few dollars every month, it can end up costing you big in the event of an accident. It’s not uncommon for a new car to cost $40,000 or more. If you hit and totaled an expensive vehicle, could you afford to pay the tens of thousands of dollars that your policy limit would leave you with? While your insurance company may urge the claimant to sign a waiver releasing you from paying beyond your policy limit, the claimant would be well within their legal right to pursue full compensation for any damages. Generally speaking, it’s a good idea to carry as much liability coverage as you can afford, especially if you own a home or have other assets that you would like to protect. 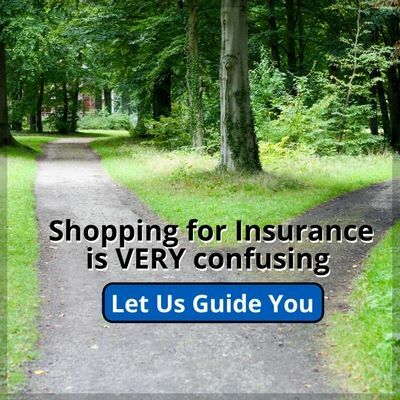 Your auto insurance agent can help you decide what amount is best for you.